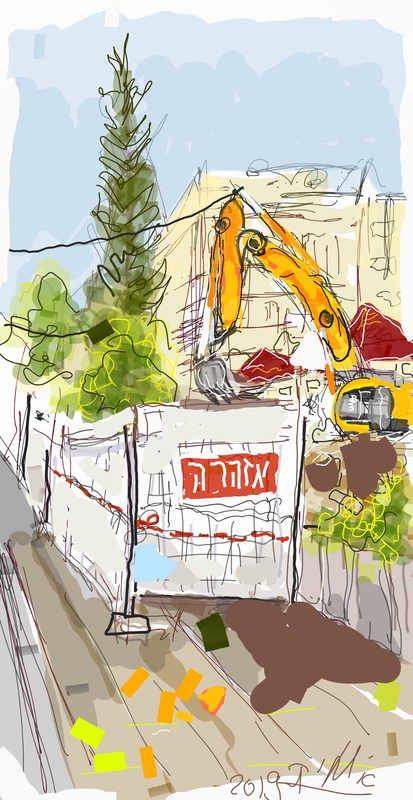 The post tries to expose the beauty of the yellow cranes which characterize the skyline of Tel Aviv as well as construction sites decorated with yellow bulldozers. 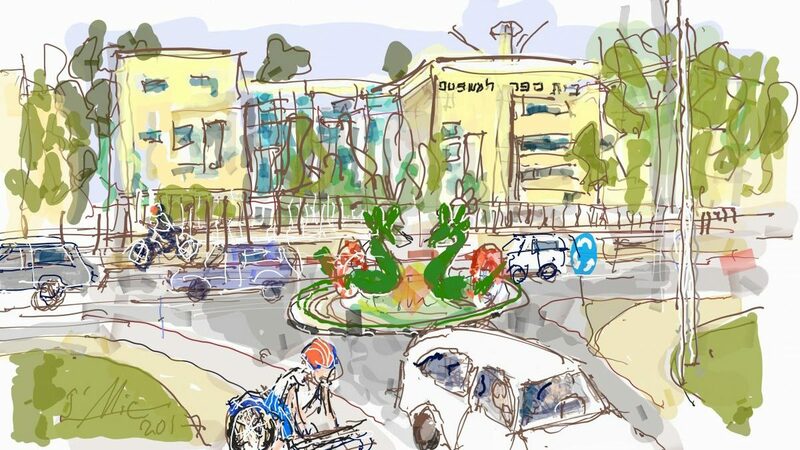 This post summarizes Digital Free Hand painting journeys in the vicinity of the many Bauhaus buildings in the UNESCO cultural heritage “The White city of Tel Aviv”. 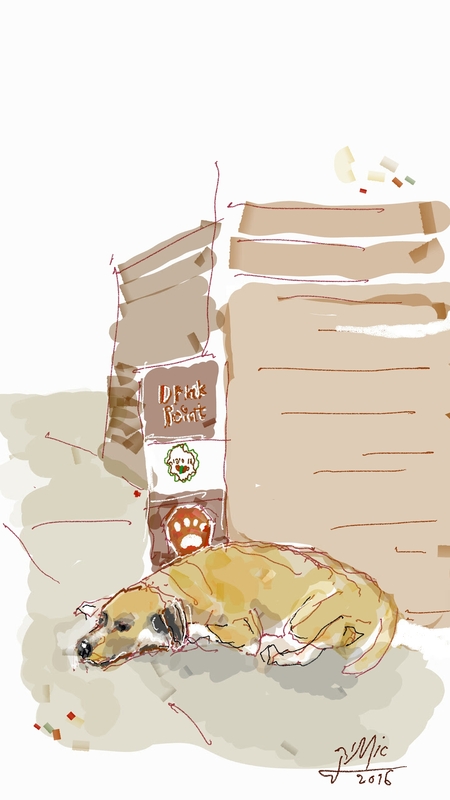 This post focuses on the cultural differences between Tel Aviv and Jerusalem regarding pets and particularly regarding dogs. Tel Aviv is a great dogs lover. 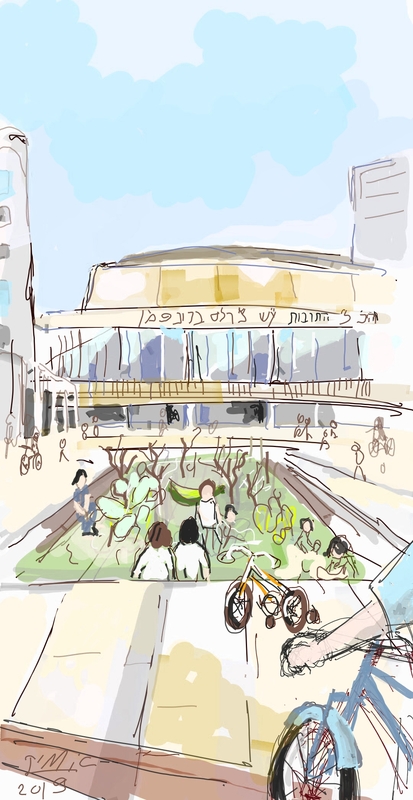 This post summarizes a Digital Free Hand painting morning in Tel-Aviv “Habima” square. 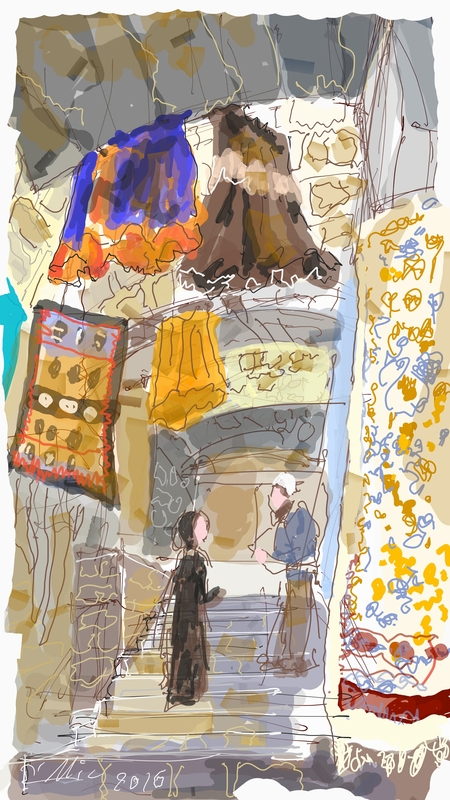 This post summarizes a Digital Free Hand drawing journey in Jaffa old Ottoman flea market. 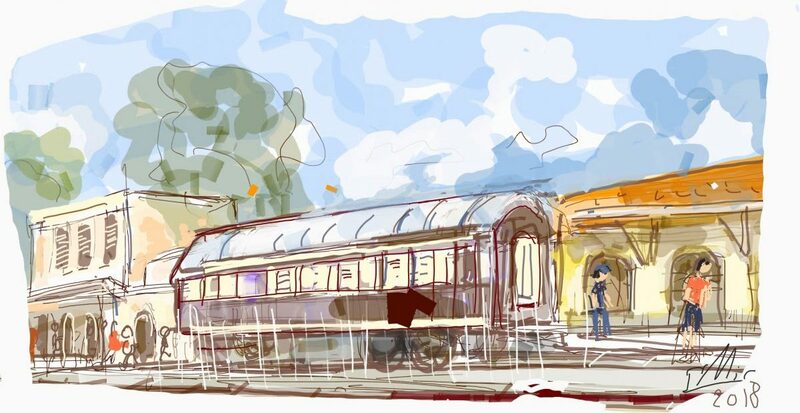 It tries to convey the beauty of this joyful location which also serves as an entertainment site. 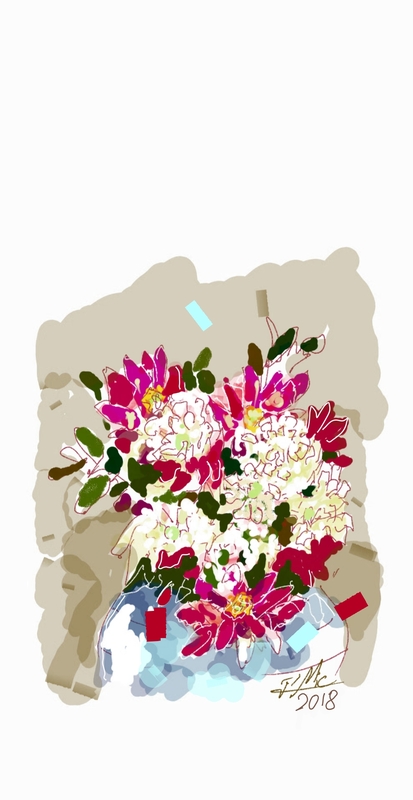 This post summarizes a Digital Free Hand drawing journey in the colorful food and flea markets of Jerusalem. 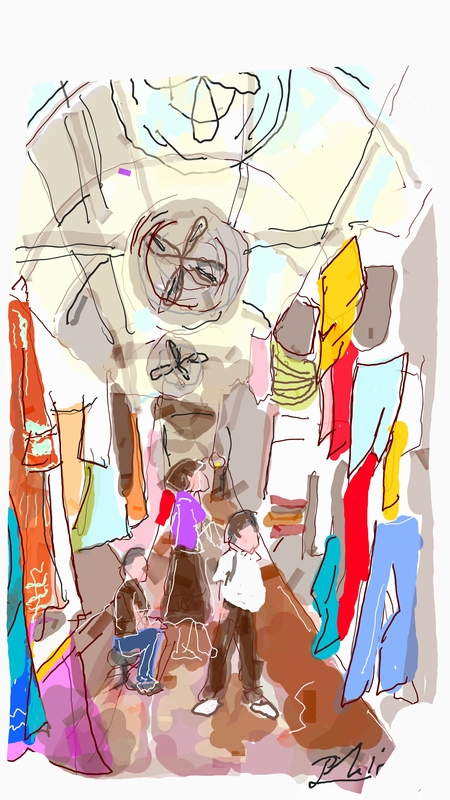 It focuses mainly on the Arab old city market and the ” Mahane Yehuda ” market. This post takes us to ancient towers of historical or religious significance in the Holy Land. 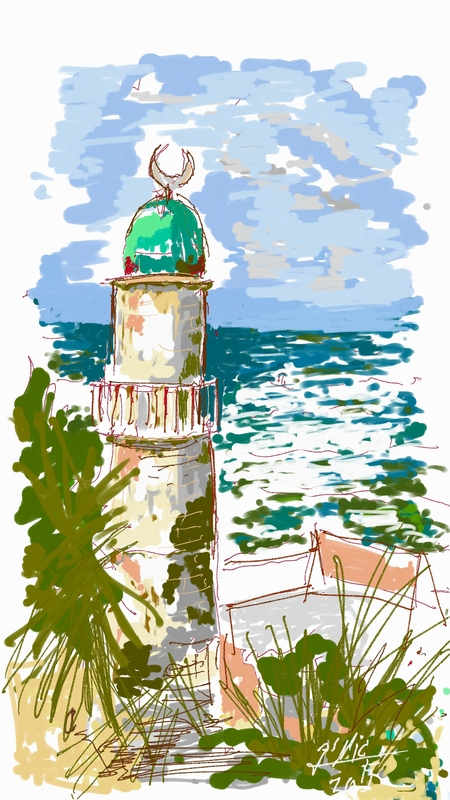 The towers free hand digital paintings on my smartphone were obtained through many drawing tours in Jerusalem , Jaffa – Tel Aviv, Haifa and Acre. 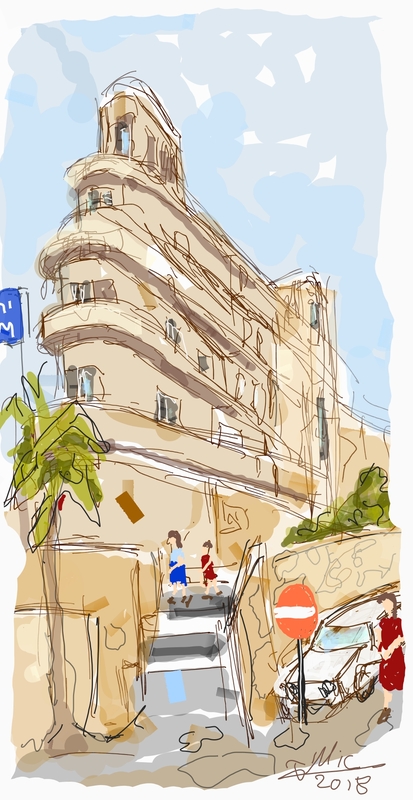 This post summarizes a Digital Free Hand drawing journey in Jerusalem and Tel-Aviv old British and Ottoman railways stations. It will be followed by Journeys along the entire Israeli railways network starting from the Ottoman era up to the ultra modern line to Jerusalem. 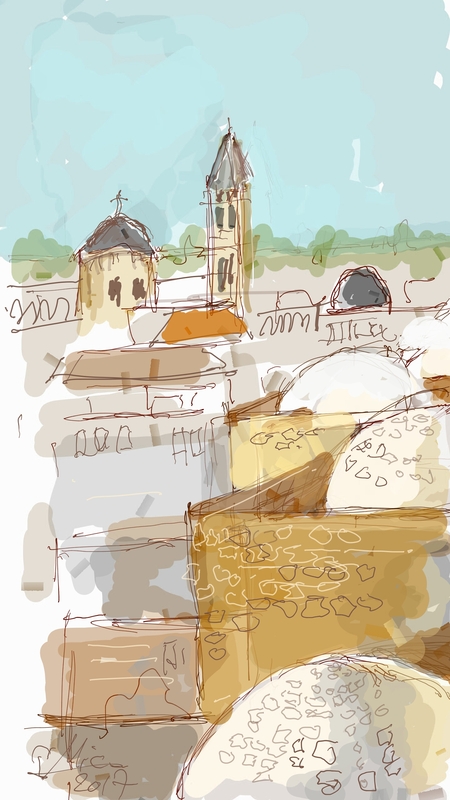 This post summarizes a Digital Free Hand ( DFH ) drawing tour of the ancient Jewish quarter in the old city of Jerusalem. I had an opportunity to sense the miraculous revival of the quarter as well as the entire old city which were crowded with tourists. Most impressive were the renovated “Ha’horva” synagogue and the breathtaking views of the wailing wall and the temple of the mount. 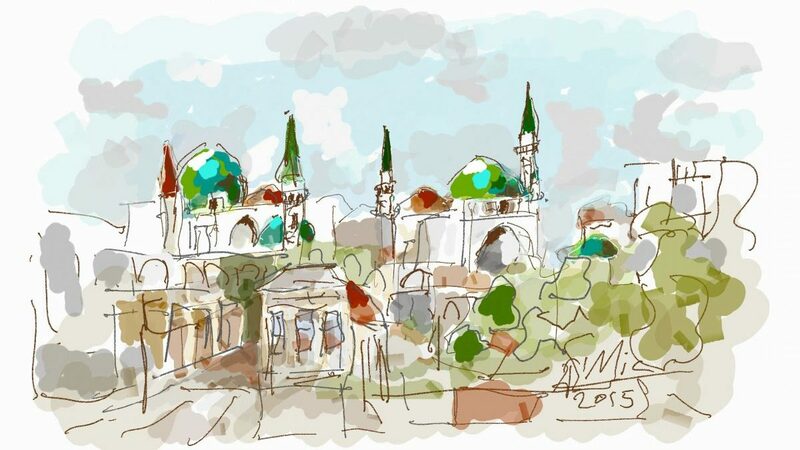 This post summarizes a Digital Free Hand ( DFH ) painting tour in the Herzlyia Interdisciplinary Center campus. The modern prestigious campus is located in a beautiful Eucalyptus grove which includes ancient preserved military barracks and a magnificent archaeological garden.